Congratulations on choosing to have real hardwood floors – the only way to achieve that perfect, 100% genuine real wood look and feel that adds a richness to any room in your home. In most cases, your flooring is made from what is termed ‘engineered wood’ – the result of a process where real hardwood is placed on a base which makes it cheaper, much more stable and less likely to warp. The great thing about engineered hardwood floors is that any keen DIY person can install them, so long as they are fully prepared and understand what to do. We can help you do a great job with these handy hints on how to get started, see fabulous results, and generally make sure the new hardwood floor is installed with no drama or disaster. This is crucial preparation for laying any floor, and for hardwood floors you must have a really strong and sturdy subfloor. In some cases the existing floor [if in great condition] can fill this role, but most floors will need a specially chosen and fitted subfloor. Concrete is a popular choice for creating a top class subfloor with engineered hardwood, but it does need to be at least a month old and be clear on relevant moisture tests. 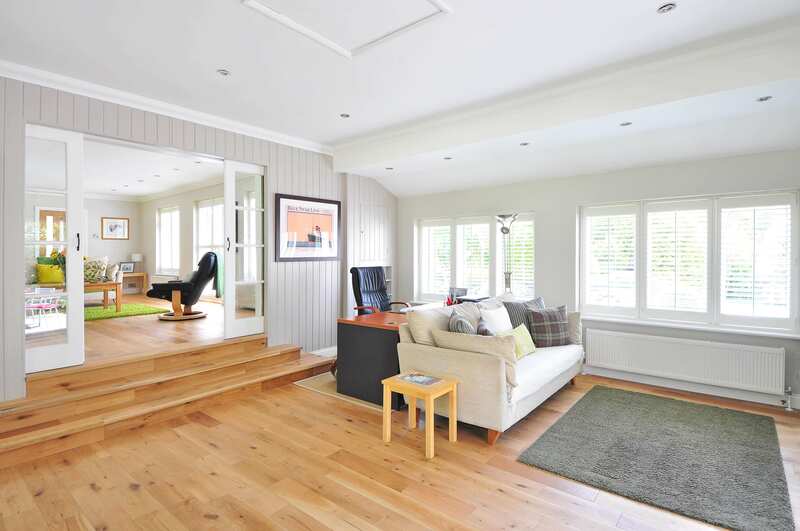 Wooden floors which are not in perfect condition only need a thin subfloor of hardwood adding. The point is to create a smooth, flat surface so the finished hardwood is secure and looks great. This is also a good time to store the hardwood in its destination area, as it needs to be there for several days to adjust to the humidity; a way to prevent future warping. As well as a range of standard carpentry tools you need either staples, glue or nails, unless installing the type of planks which are laid so they click together. Planks which need to be glued down mean you need special tools such as a notched trowel. Don’t forget you also need to remove doors, plus door and baseboard moldings before installing the floor. A fine-toothed blade with a carbide tip should be used to cut down the hardwood flooring, and engineered hardwood planks need to be sawn with the finished side of the wood facing the floor –a technique which helps avoid the boards chipping. Don’t fit the flooring right up to the very edge of the walls – instead leave a narrow gap which allows for any natural expansion of the wood to occur. You don’t need to worry about being left with an ugly gap though, as anything left will be easily covered by the re-installed base moldings. Always install your hardwood floor planks from the left of the room across to the right. You will probably need to move the planks into the exact place they need to be once laid. Do this using a tapping block – never try to nudge them using a hammer on the boards directly as this will not bring you the desired result. Engineered hardwood flooring is designed to be ready to go, so it doesn’t require sanding, although you could do this once if you really felt the need to. In this article we have concentrated so far on engineered hardwood floors as they are considered more suitable for DIY enthusiasts to install. They are also, of course, much more resilient, and therefore longer lasting than their regular hardwood counterpart which is extremely vulnerable to moisture – and consequently is likely to warp and expand in a fairly short time. However, if your heart is set on using genuine hardwood – such as White Oak Engineered Flooring – and you have enough skills and the necessary tools to install it, then these tips will help it all go smoothly. You need to mark out things like where the floor joists are and work out which direction the subfloor supporting floor joists are facing. This is important as the best results will be gained when you lay the flooring perpendicular to the floor joists. This will be the longest straight wall. You also need to lay something like heavy kraft paper as underlay, to help reduce noise and to absorb moisture. This should be stapled to the subfloor using a special gun. To cut wood for a hardwood floor you need either a job or table saw, either a circular or power miter saw, or for curved/irregular cuts – a jigsaw. Cuts which will be visible should be made with the flooring facing down, while those that will be covered can be cut with the flooring facing upwards. Fastening hardwood to a ready prepared floor means using nails in two different ways, either face nailing or by a method called ‘blind nailing’. These can be carried out with finishing nails and a hammer, but a power nailer is much easier (and better for the floor) for face nailing, and for bind nailing you can hire a pneumatic flooring nailer.